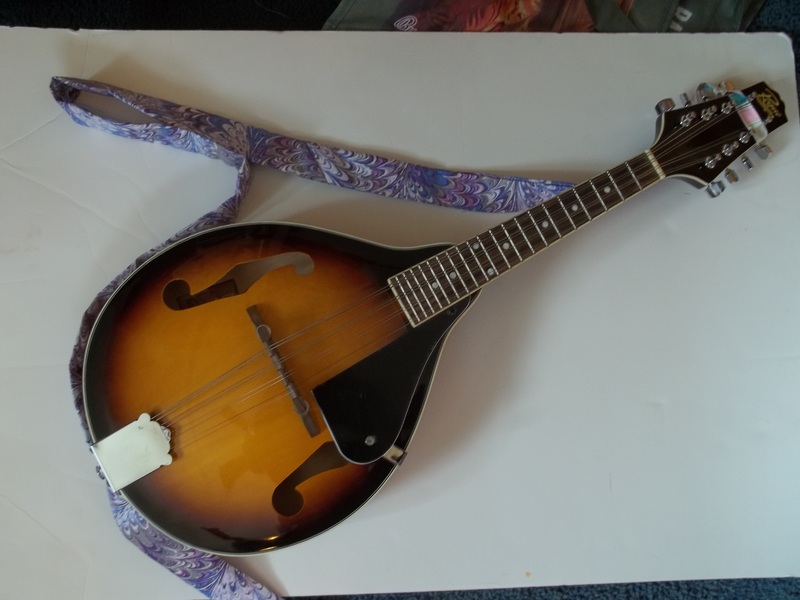 My husband got me a mandolin for Christmas this past year. It came without a strap and instead of buying one I have decided to make my own and share my progress with you!! 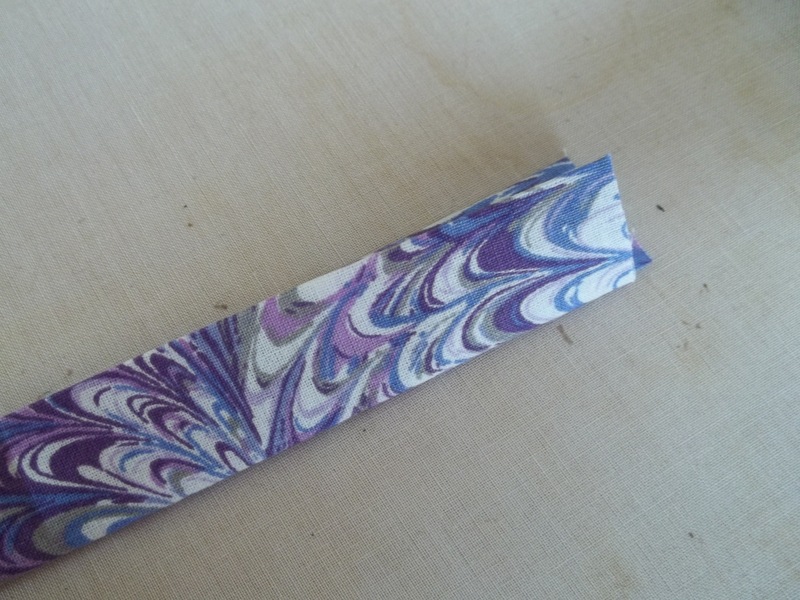 This same pattern can be used to make a strap for a guitar or a banjo also. ~First job is to pick our some fabric!! 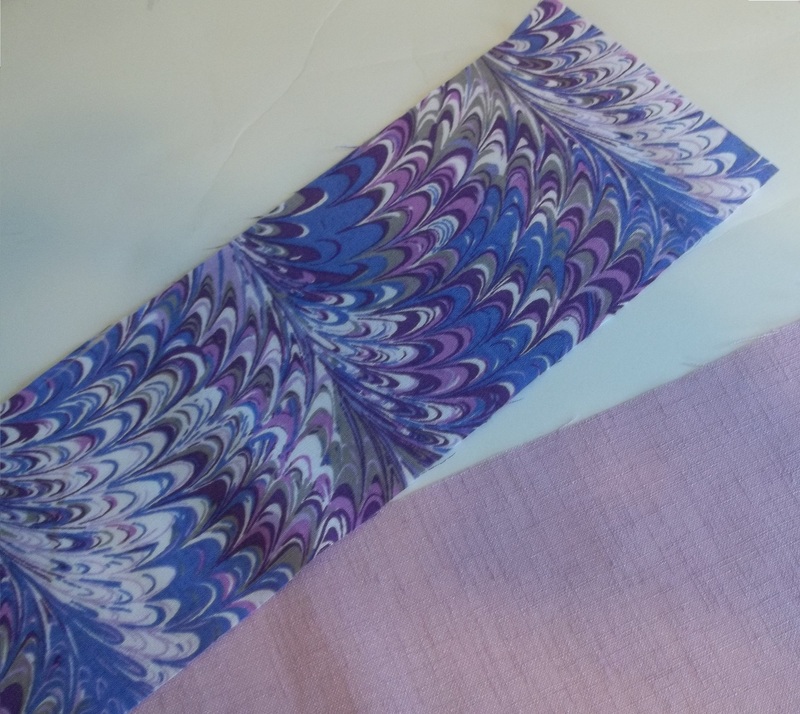 Any fabric ( except for any fabric with stretch) will do I picked out a cute cotton print with purples and pinks. ~Second hold your mandolin(guitar, banjo) where it feels comfortable and measure from the button on the bottom to the peghead. Now your ready to start!! 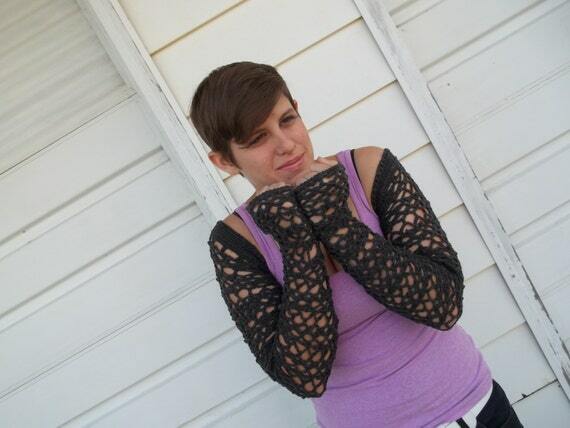 Cut your fabric 8″ wide by length needed. Fold fabric in half lengthwise and press, then open fabric. 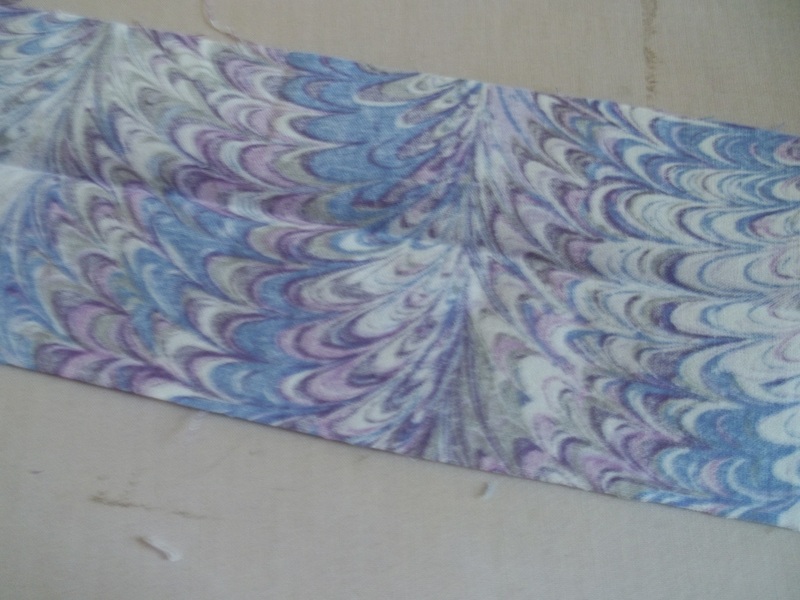 Fold each side towards the middle crease line, press. 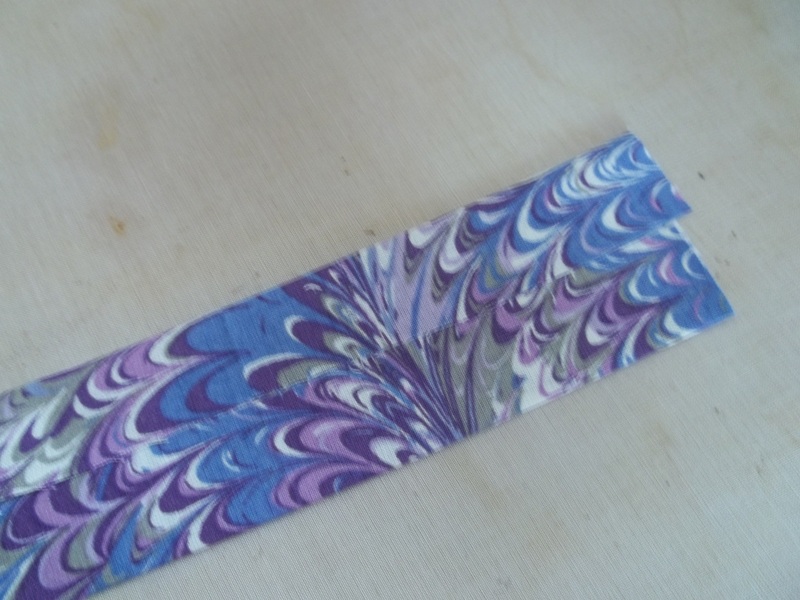 Fold in half again matching edges,press. 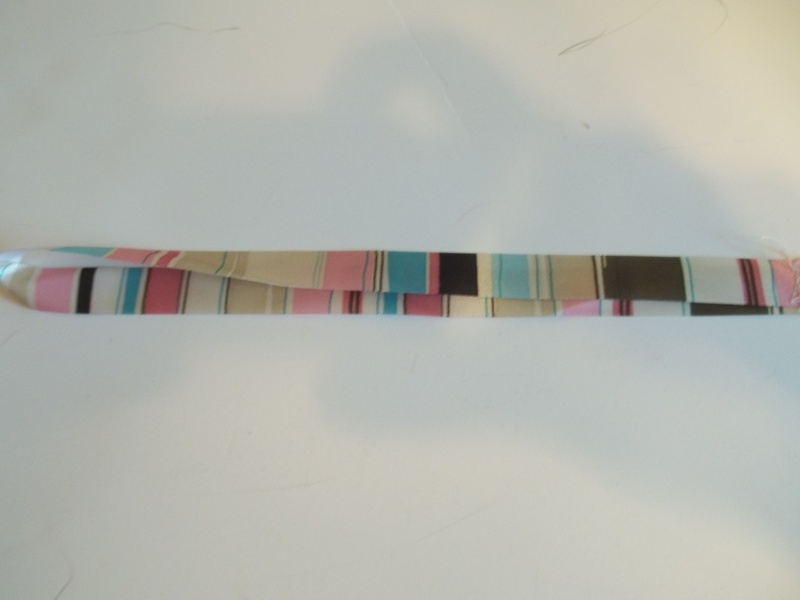 You should have a 2″ wide strip. To go around the peghead you need to have something thin and strong. I used a heavy ribbon but you can used whatever you have on hand. Cut a loop of ribbon long enough to loop through the peghead and under the strings. Sew the loop on one end of the strip of fabric. 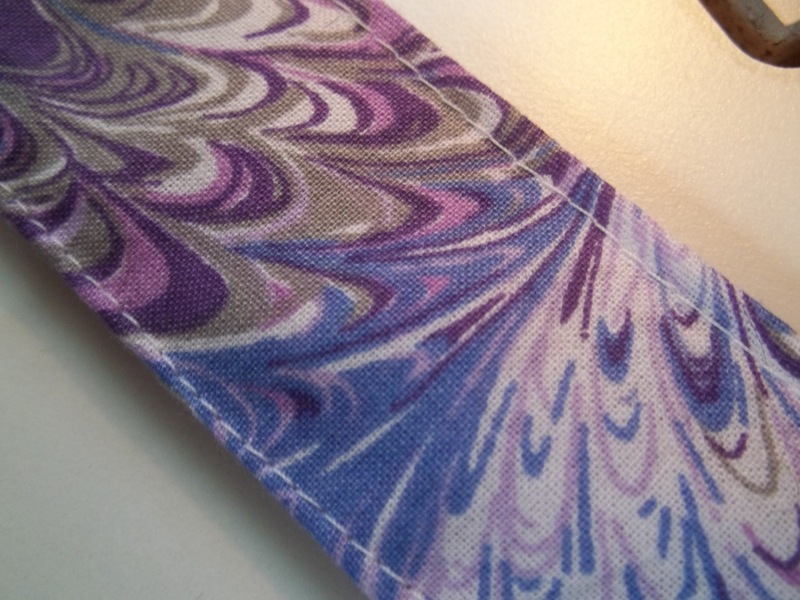 Now sew all the way around your strip, trying to stay right on the edge of the folded strip. Now mark the other end of your strap where the strap meets the button. 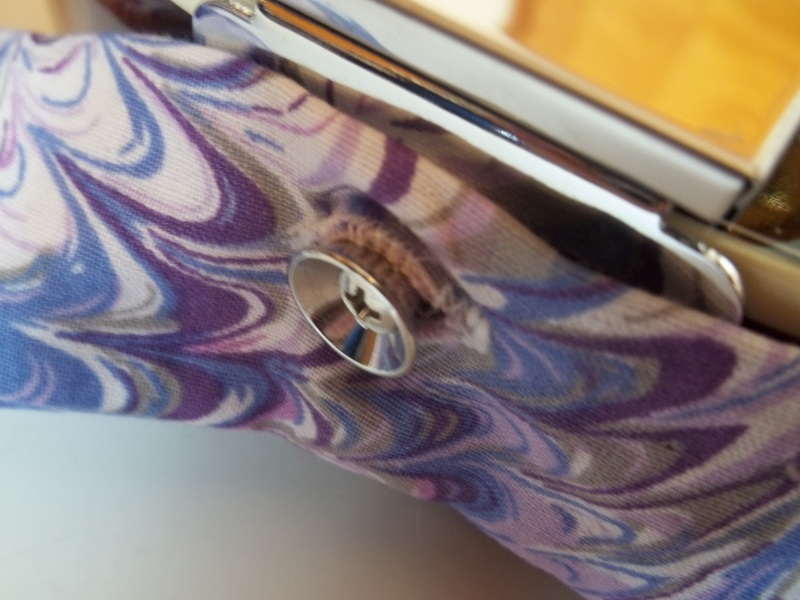 Next make a button-hole at your marked spot. Your Strap in now Finished!! 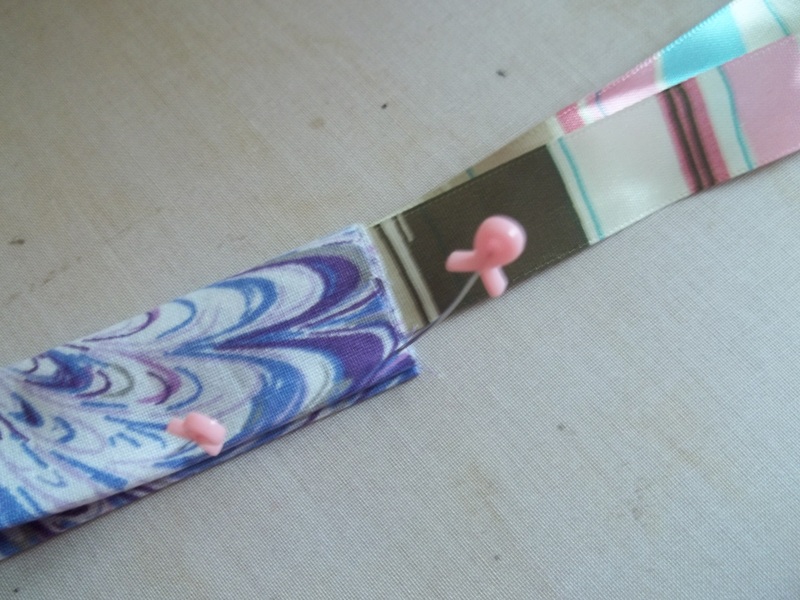 If you want you can use your quilting foot and add lines to your strap or you can do free motion quilting on it!! This is the first tutorial I have written. I wrote it for someone who already knows how to sew. If you are new to sewing and need more details I would be glad to help you. 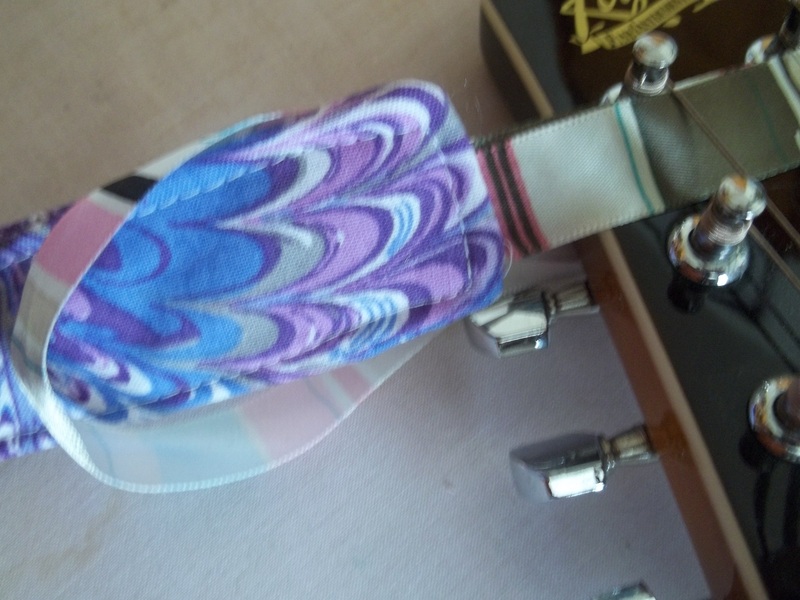 This entry was posted in Handmade and tagged fabric strap, guitar strap, handmade strap, mandoin strap, mandolin, strap. Bookmark the permalink.